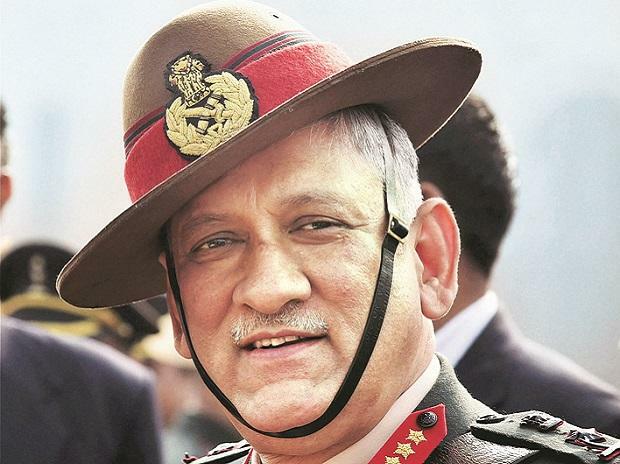 Rawat appreciated the force's "collective grit, determination and sacrifice of our troops", who have stood their ground "under the most challenging, inhospitable and hostile circumstances"
Army chief General Bipin Rawat has said that India is facing complex security challenges along its borders which threaten territorial integrity and internal stability of the nation and urged the force to work with added zeal. In his New Year message to the Army on Tuesday, General Rawat appreciated the force's "collective grit, determination and sacrifice of our troops", who have stood their ground "under the most challenging, inhospitable and hostile circumstances". "All ranks have displayed highest degree of sincerity and commitment while guarding our frontiers, combating terrorism and insurgency, providing aid to civil authorities and achieving all-round professional excellence, which have been the hallmark of the Indian Army," the message read. He mentioned the relief and rescue efforts put in by the Army during the devastating Kerala floods last year and urged the soldiers to "continue to work with added zeal while upholding our core values of integrity, loyalty, duty, respect, selfless service, courage and honour to fulfil our constitutional obligations and assigned roles". He also wished speedy recovery to soldiers who have been injured in the line of duty.